Is it time to restore the beauty of your wood flooring? 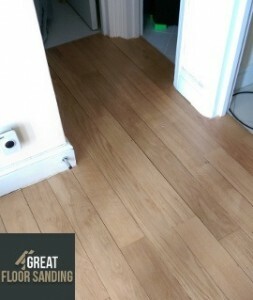 Our floor sanding service in Hammersmith W6 is the best solution if you want your floors to look like new once again. Even though wood is a durable material with an easy upkeep, stains, scratches, age and the constant traffic of people and objects wears down the material to the point a simple clean-up won’t help anymore. Solve your floor situation with one Call us and solve your floor situation. The experts have the power to “turn back time” on your wooden floor no matter what specific wood type it’s made of. Repair and Restoration: We make floors safe to work with by removing the damaged boards, replacing them with matching ones and securing loose beams. Gap Filling: We ensure the floor is a uniform surface to promote stability. Floor Sanding: The actual sanding strips the old sealing from your wooden floors, and in the process removes imperfections and damage. Staining: If you opt for this step, you choose from a variety of organic hues for your floor. Finish: We seal the floors with either wax, oil or lacquer for an air and water-tight finish. An increase of Your Value: Real Estate agencies all over the UK claim that properties with good-looking wood floors sell much faster and at a higher price. Prolong the Life of Your Floor: Precise sanding and sealing over the years can preserve the floor up to 100 years. Improve Your Home’s Look: Nothing beats the beauty of a well-sanded floor. Clean with Ease: Once sanded, your floors demand little maintenance time and effort. Cleanliness and precision are the main principles in the floor sanding work in Hammersmith. All working technicians are BONA certified and understand how to treat wood, be it hardwood, softwood, fresh or aged material. At the same time, you return to a room that’s clean and tidy. Moreover, the state-of-art machines from BONA are 99% dust free! Request your viewing about wood floor sanding right now. Just gives us a call at 020 3404 9697 – the rest is up to us! We are available 24/7, 365 days a year. You can call us anytime to make alterations to your scheduled appointment or request an update, or use our contact form or chat feature.